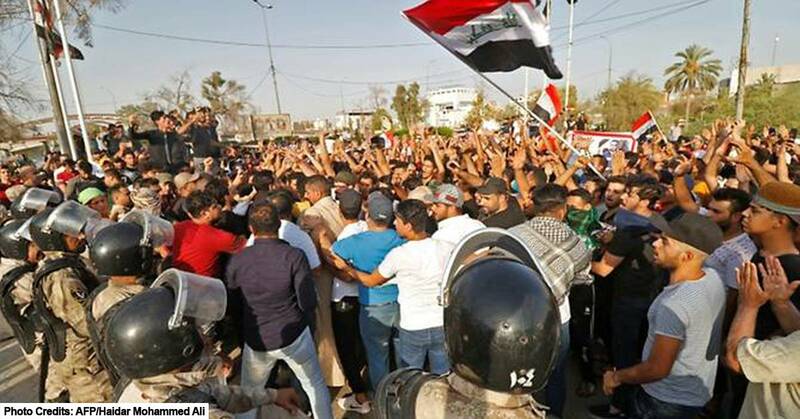 Escalating protests over poor public services and unemployment in Southern Iraq have now spread across the rest of Federal Iraq keeping the Iraqi Government and security forces on high alert. All customs activities at Um Qasr Port, Basra International Airport, Najaf International Airport, Safwan border crossing as well as other southern entry points have been placed on hold until further notice. The roads and highways between Basra and the rest of Iraq have been blocked by protestors causing a complete standstill of traffic in and out of Basra province. Movements to and from the oil fields in the Basra province are also heavily restricted with limited civilian movements and only security convoys protected by the Iraqi Oil Police are passing through the numerous checkpoints established by the Iraqi Army. Protestors have continued to block routes to and from the West Qurna and Rumaila Oil Fields where the majority of the unrest is taking place. Move One is looking into establishing a safe and secured route from Um Qasr Port to the rest of the country in order to continue operations but delays are expected. Internet access has been cut by Central Government until further notice as security forces are dispatched to quell the protests. Our team on the ground are monitoring the situation closely and regular updates will be provided to our clients who have cargo destined for Iraq.